Recently took delivery on a 2.0 Premium in November, and have been driving it for a while. Ride is stable, but usual SUV feel. Soft suspension to cushion some bumps, but results in quite abit of body roll, when pushing car into a corner. Brakes also do not bite as well, might need to upgrade to aftermarket ones for a better feel. Interior is plush, seats in Mazda fashion are thick and comfortable, but results in slightly less space as compared to other mainstream jap cars. Rear seats are more of a 2+1 seat rather than 3 seats. Significant raised middle block in the rear results in less space for middle passenger even though this is a 2WD. Infotainment system is easy to use and has no lag. Buttons are plush and feel premium. Mazda's new KODO design language has been around for some time and it looks great on the 2nd generation CX-5 especially in this new Red colour! Having driven the 1st generation CX-5 myself, this CX-5 is still as engaging and responsive to drive with an improvement in NVH. It's handling is also known to be one of the best amount similar class of SUVs. Only downside is its lack of power (no turbo) unlike the Harrier and CRV. The CX-5 will definitely be my next car although I hope a turbo variant will be available then. I test drove the 2.5 top version and the build of this car reaches entry luxury standard. Very impressive indeed. The cabin is a wonderful place to be in, although leg space is slightly tight. The engine is ok, but it needs to rev to get going. Can feel tiring listening to the engine zoom zoom all the time. Beautifully appointed cabin and overall looks. Top-spec version price also reaches entry luxury car price level. A turbo charged engine will suit the car better. Tested the 2.0L Premium sometime ago. From the exterior looks, nothing to shout about or even make a head turner to this as the design is plain simple and looks the same small size suv or cross over like the qashqai or niro type. Interior is the premium feel that Mazda gives to almost all the models they offer here. The refinement of the leather and the gadgets in it. All placements are easily accessible and user friendly. The drive....Moving off is slightly slow compared to harrier (agent and pi), x-trail and the non turbo forester. Gear changes are ok and smooth but when you engaged sports mode (I tried twice) was slow in reacting like Huh am I in sports mode ?. First time in traffic light stop to engage before move off and another during drive and engage. I must say MazdaS handling is good if you forgo the sports mode slowness and the nimbleness of it as a crossovers or suv too. The gadgets like land depart assist and blind sport assist are common in makes nowadays which I shall not go further too. Overall if you are the one looking for usual drive and ok to part with $150k, then get the premium one than the standard model which I do see the price and the necessity to have a 2.5L is not there which you have other larger size suv at 2.0L to consider than this. The CX-5 is a handsome crossover and doesn't look like a typical 'unker' SUV. But on top of that, it's got some things going for it on the inside as well. The interior isn't as spacious as before but cabin design looks way more modern. It also feels more refined and build quality is decent. The SUV handles itself pretty well and is quite fun to drive. However, it might feel a little lacklustre at times. Authorised Distributor Mazda cars are Mazda 2 Hatchback Reviews, Mazda 2 Sedan Reviews, Mazda 6 Reviews, Mazda 6 Wagon Reviews, Mazda CX-3 Reviews, Mazda CX-9 Reviews, Mazda MX-5 RF Reviews. Parallel Imported Mazda cars are Mazda Axela Diesel Reviews, Mazda MX-5 Reviews. sgCarMart is the number one car site for buying Singapore cars, including new cars, parallel import cars, Toyota, Honda, Nissan, Volkswagen, Mitsubishi & BMW. 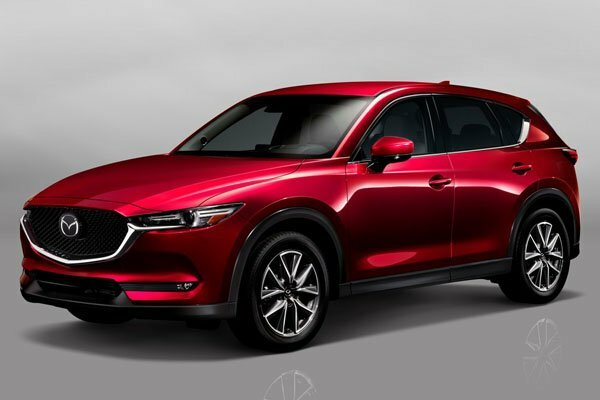 We have new car dealers comprising parallel importers, authorised car distributors, and used car dealers who have the New Mazda CX-5 latest price Find new car pricelists, new car launches, new car promotions, new car reviews, latest car news & car articles. Read the New.Mazda CX-5 consumer reviews to help you decide on buying a car. Also join our car discussion and forum discussion for car reviews, motoring news & motoring guides. Visit our partner sites who have job openings for Singapore jobs, Singapore classifieds, mover and real estate properties for sale.